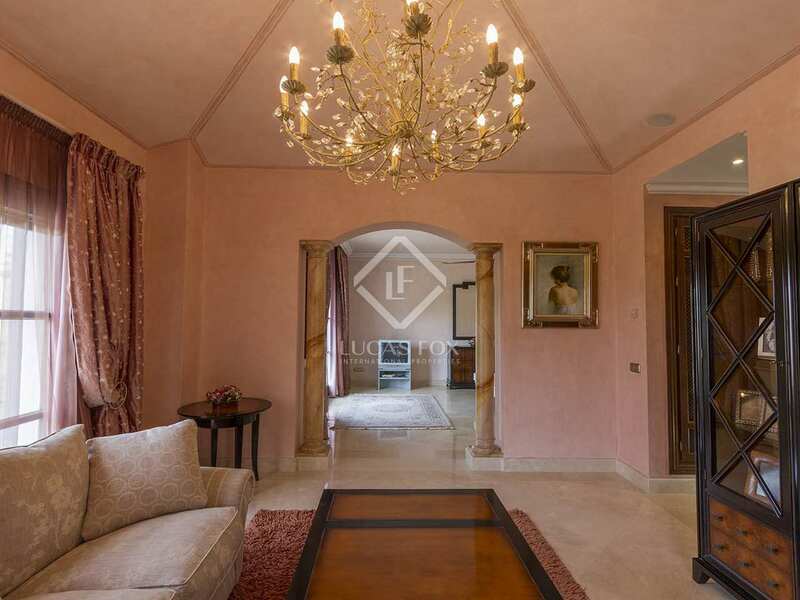 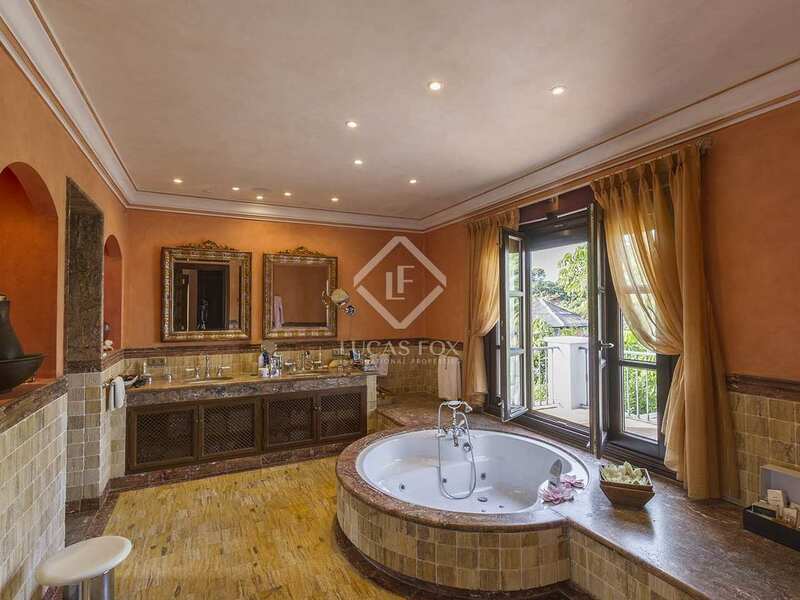 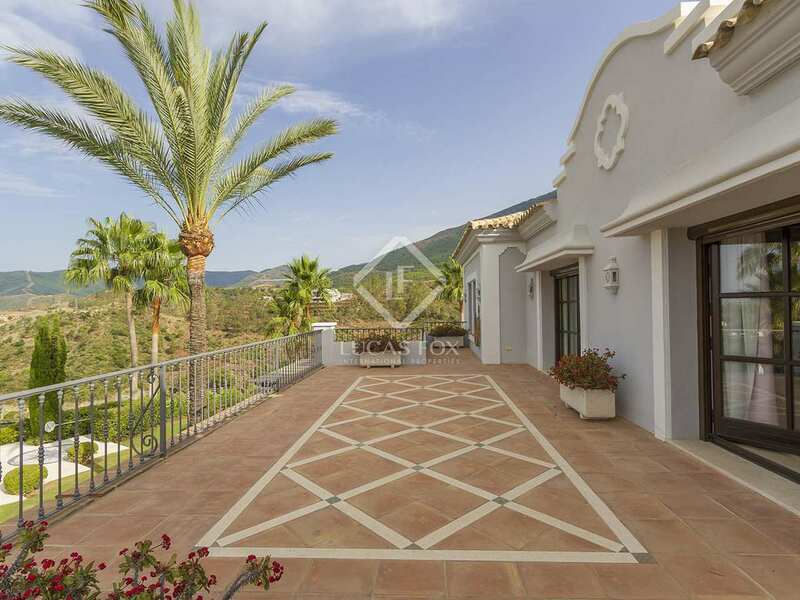 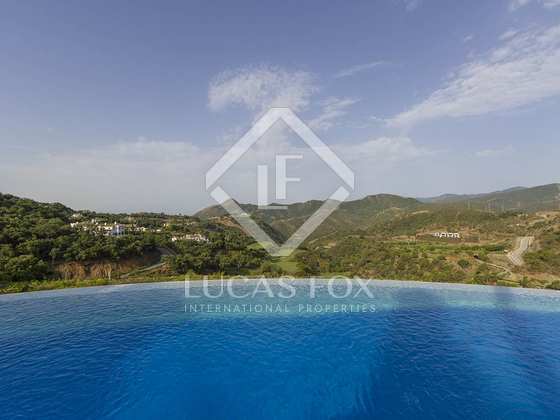 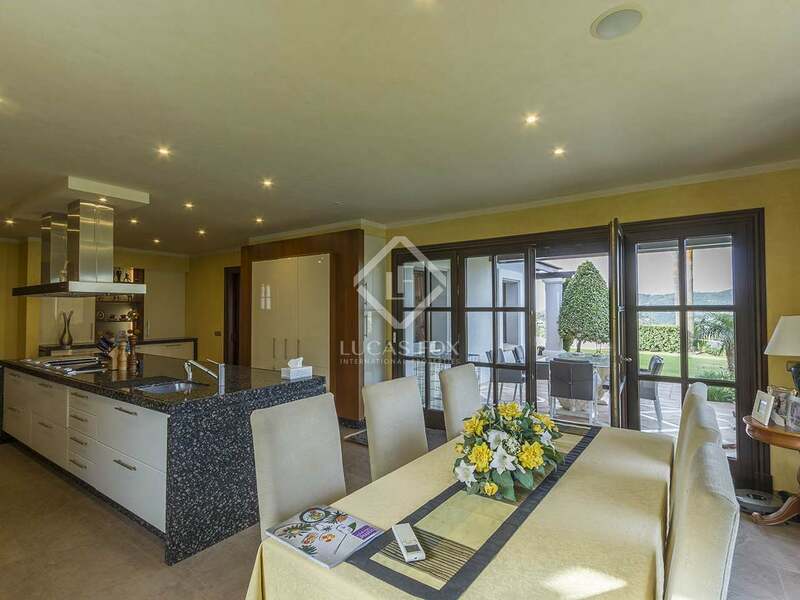 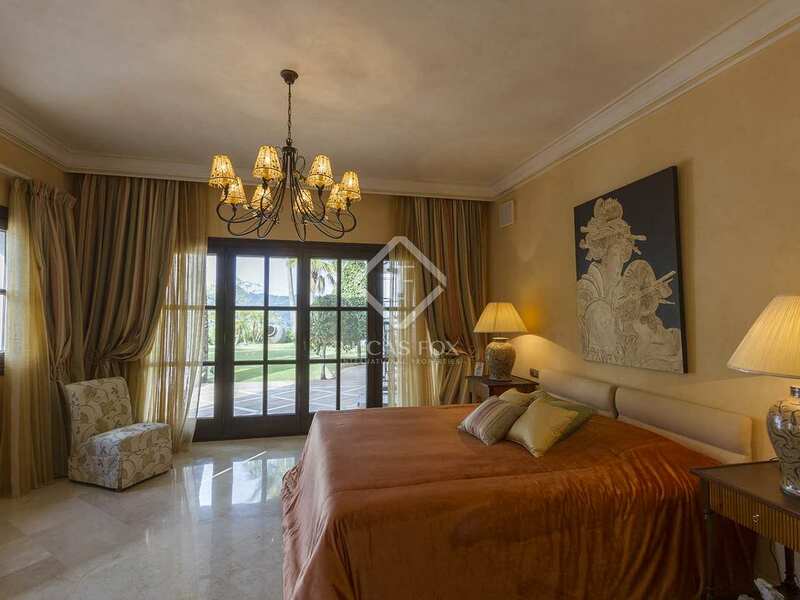 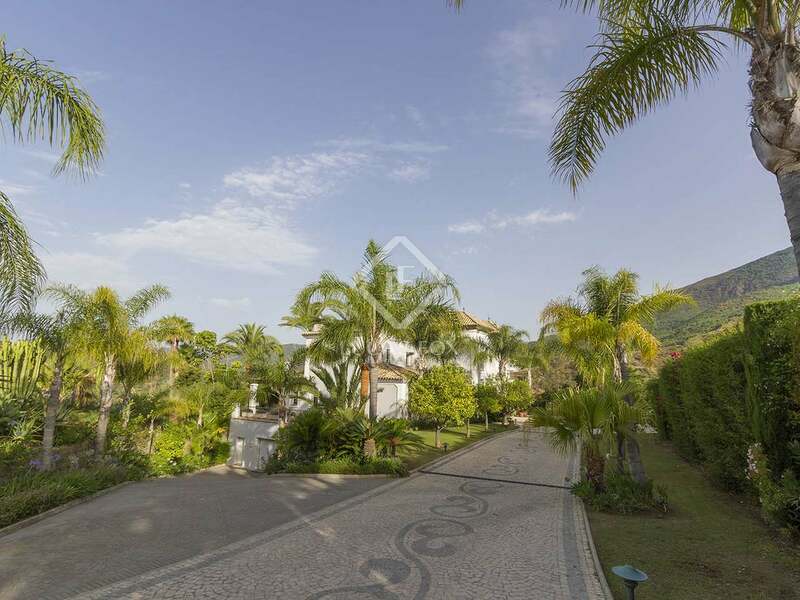 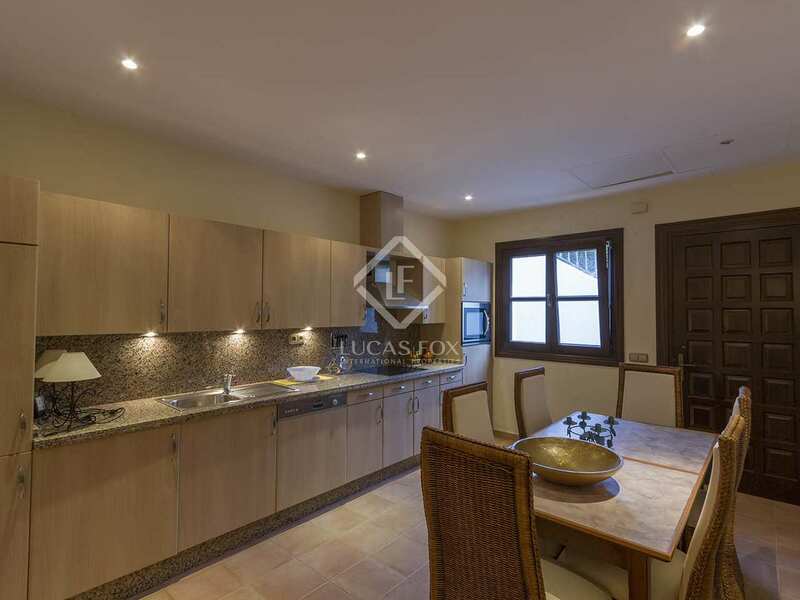 This stunning newly-built villa has a total of 5 bedrooms and 5 bathrooms, and the property includes a 1-bedroom staff apartment with a separate entrance. 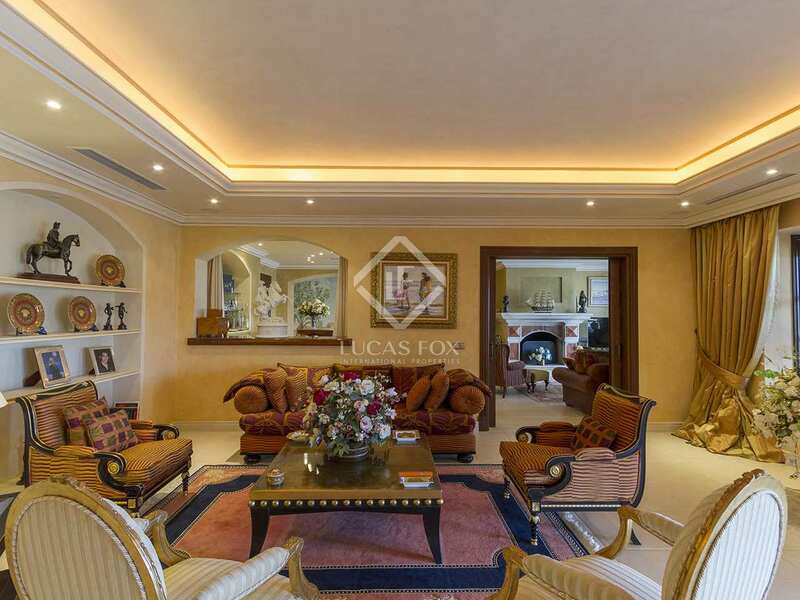 It has a built area of 1,226.75 m² on a 5,254 m² plot. 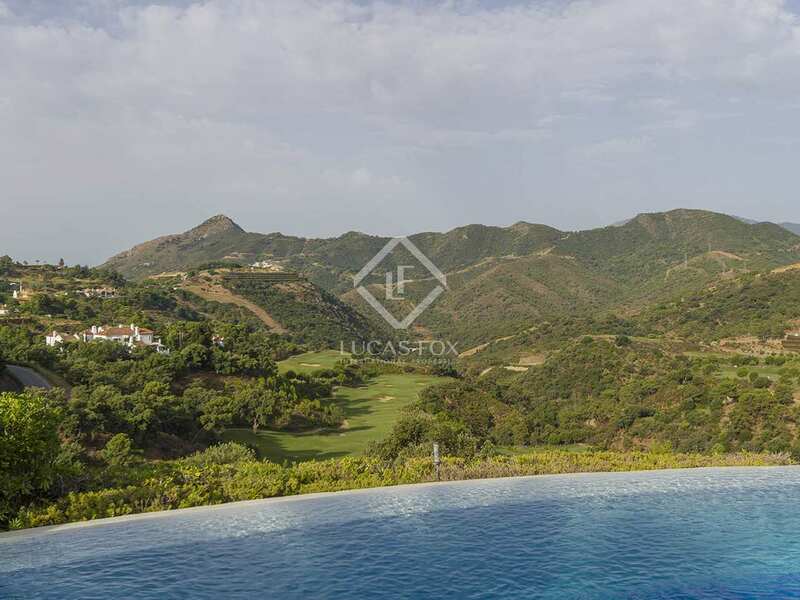 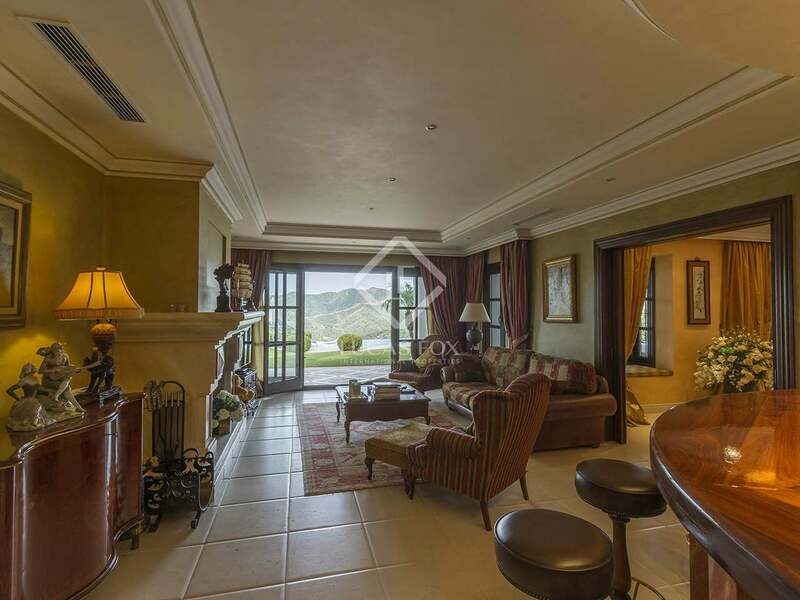 The house enjoys spectacular views over the mountains and directly overlooks the golf course. 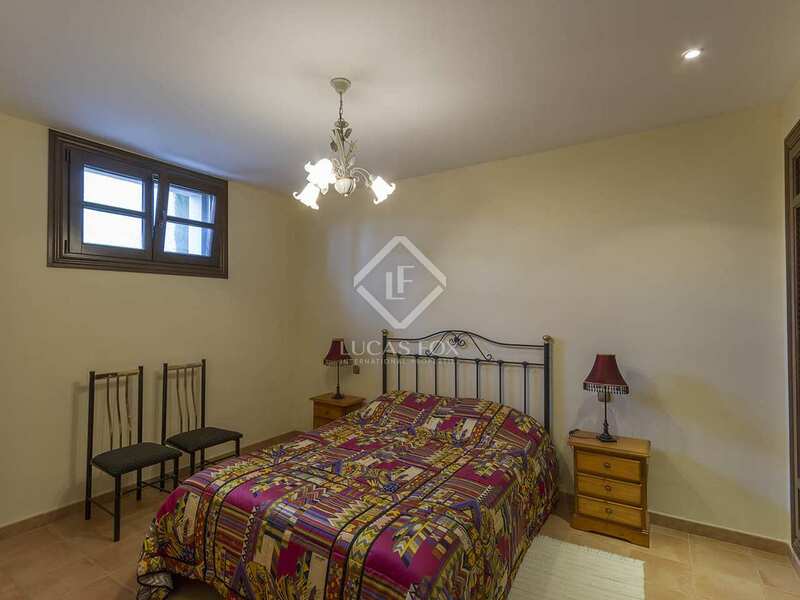 The property is west-facing, receiving lots of natural light all year round. 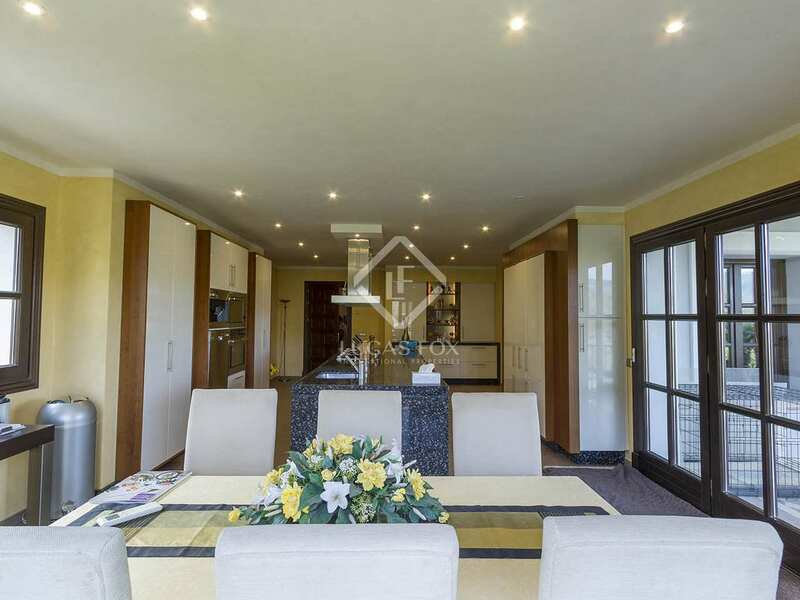 There is a large private swimming pool with a pool house, surrounded by a mature garden with lawns and trees. 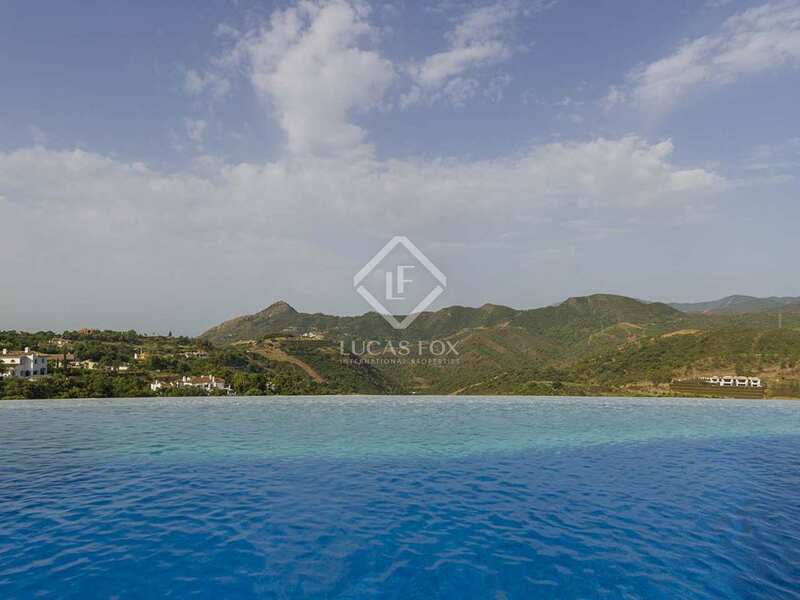 The pool has a pre-installation for heating. 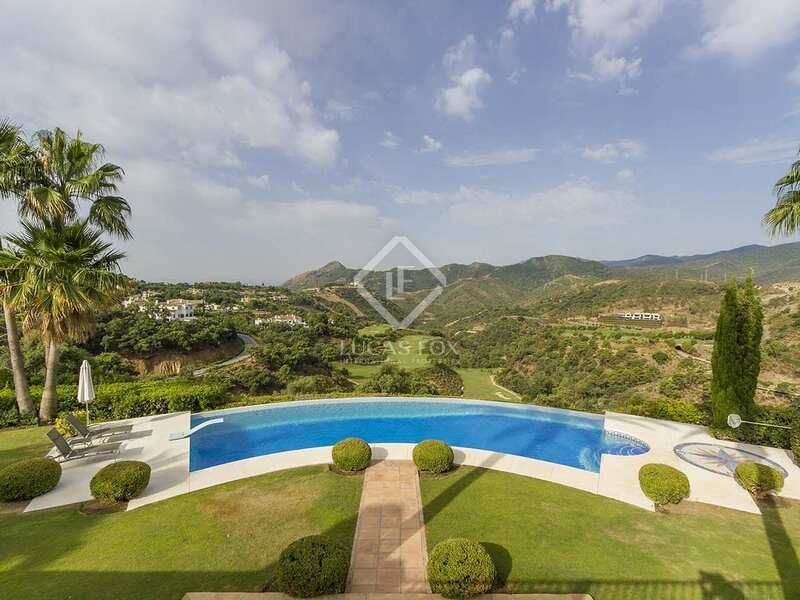 We approach the house along a driveway with mosaics and an Andalusian fountain. 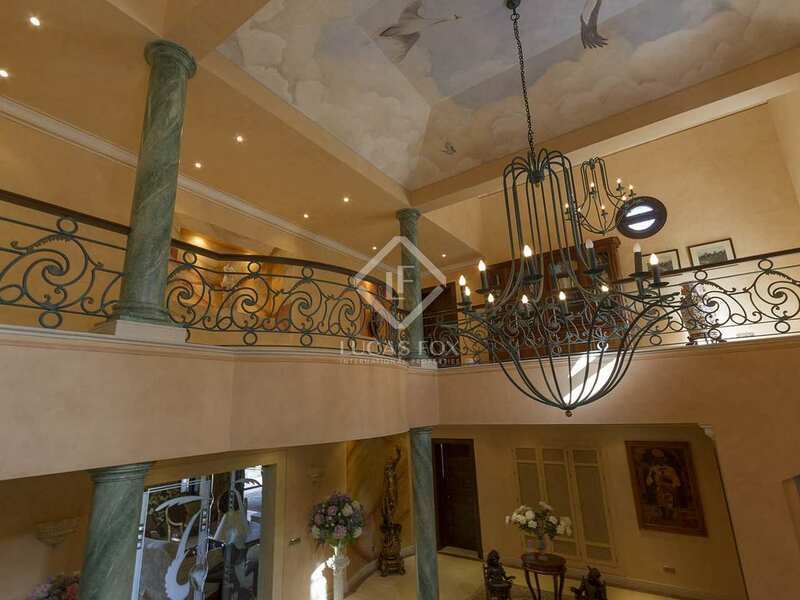 We enter the villa through a magnificent entrance hall with hand painted columns, wall paintings and high painted ceiling. 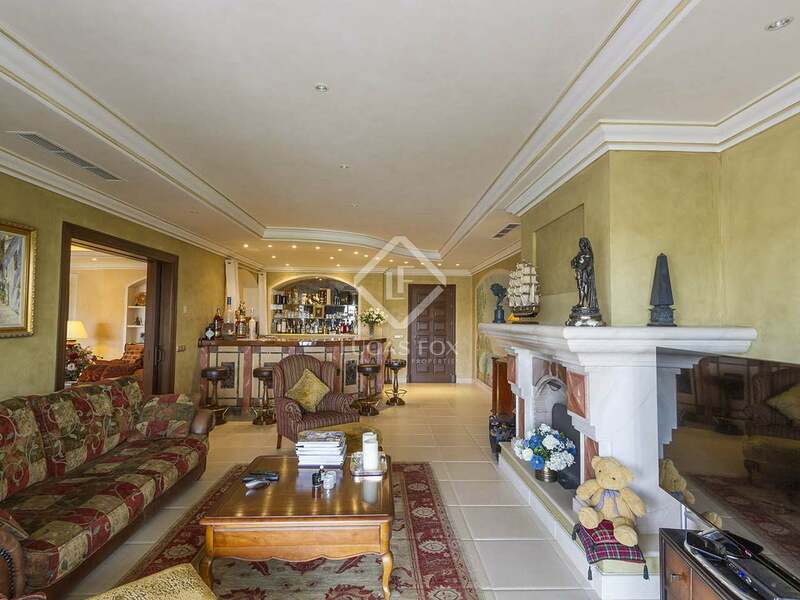 The hall leads to a spacious living room with fireplace, and a TV room with fireplace and American bar. 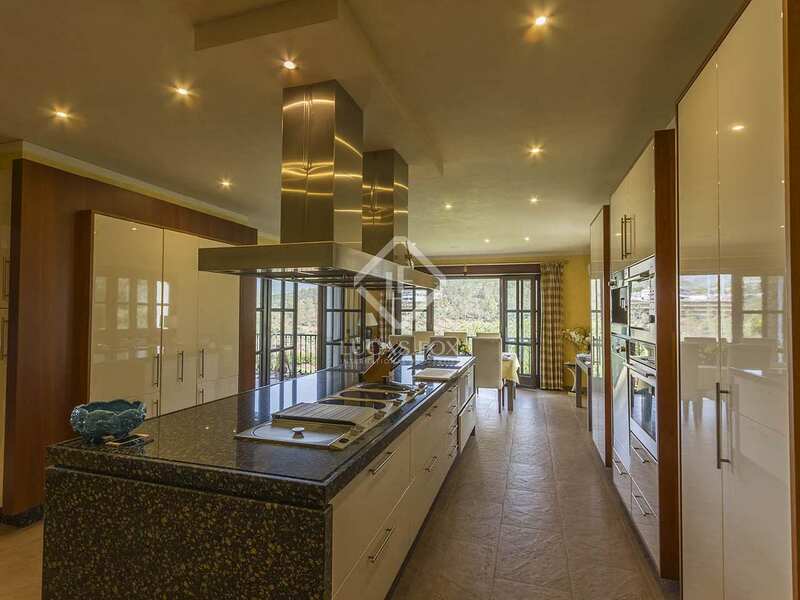 There is a dining room and a modern kitchen with central island and breakfast area, plus a utility room and guest toilet. 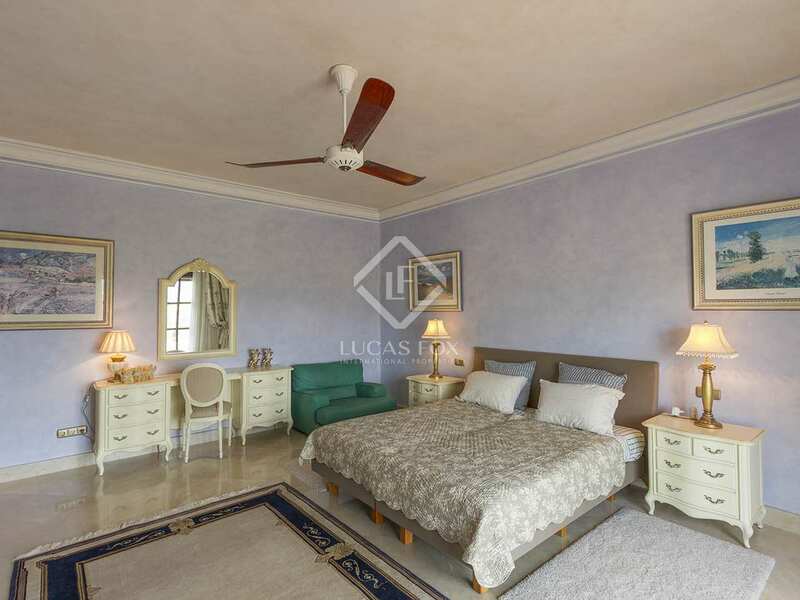 There is 1 bedroom with ensuite bathroom and dressing area, with access to the garden. 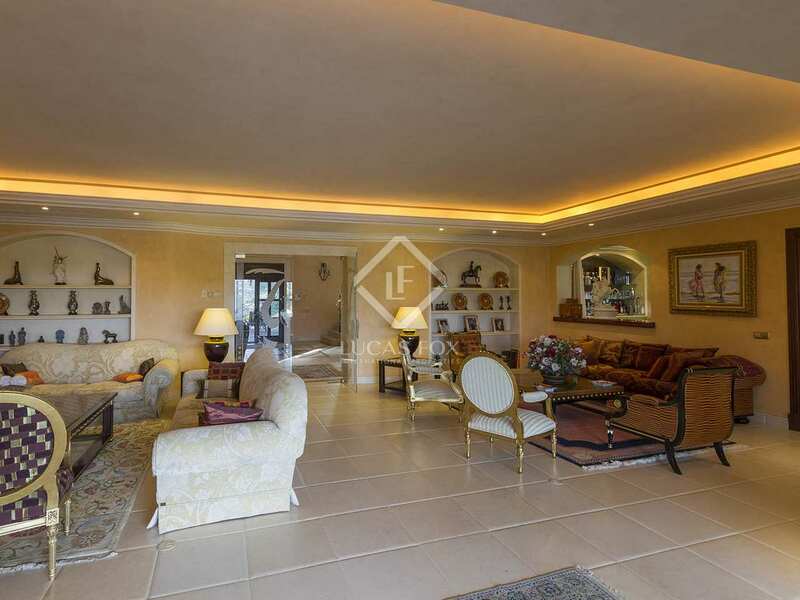 A large covered terrace is accessed from the reception rooms. 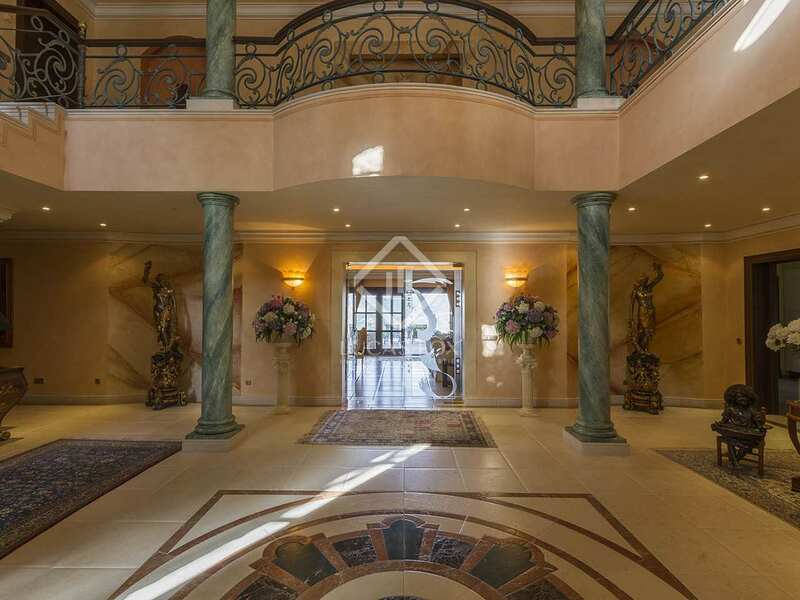 Climbing the stairs to the impressive landing, on the first floor is the master bedroom with sitting room, dressing room and ensuite bathroom. 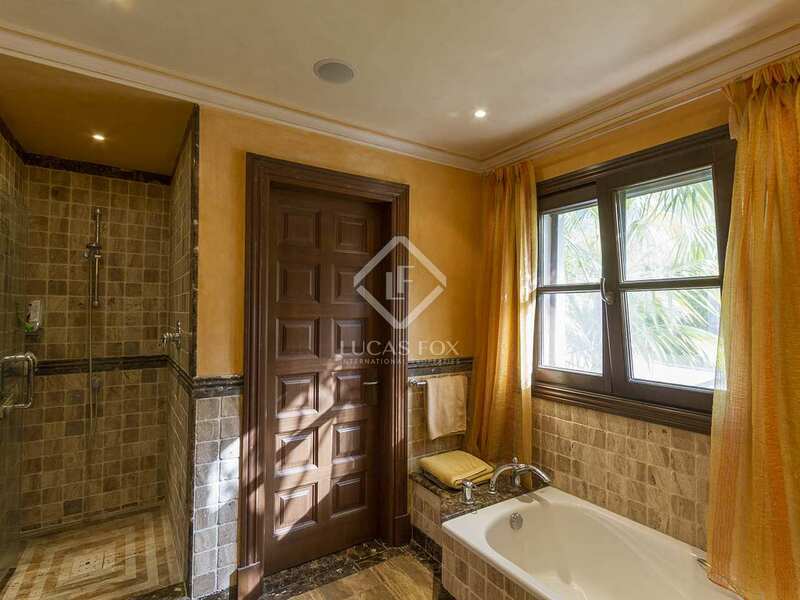 There are 2 guest bedrooms, each with dressing area and ensuite bathroom. 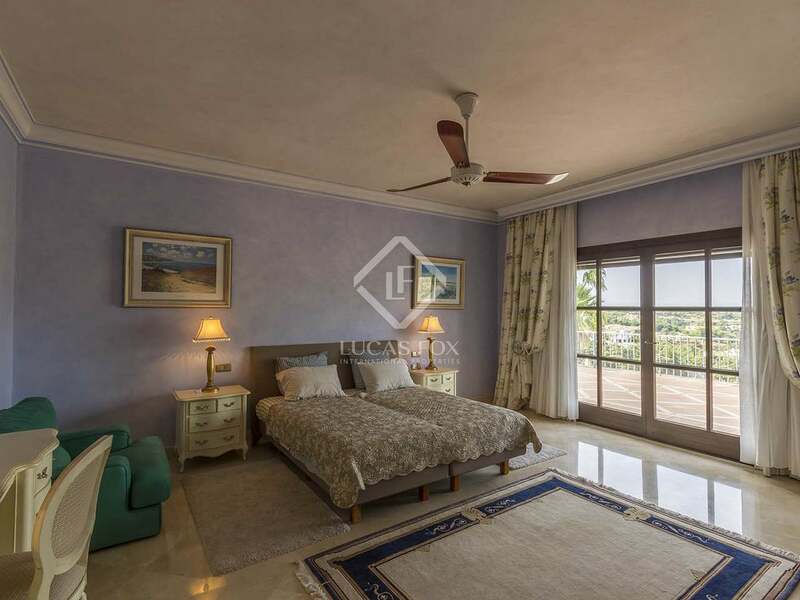 All bedrooms access the terrace and offers great views. 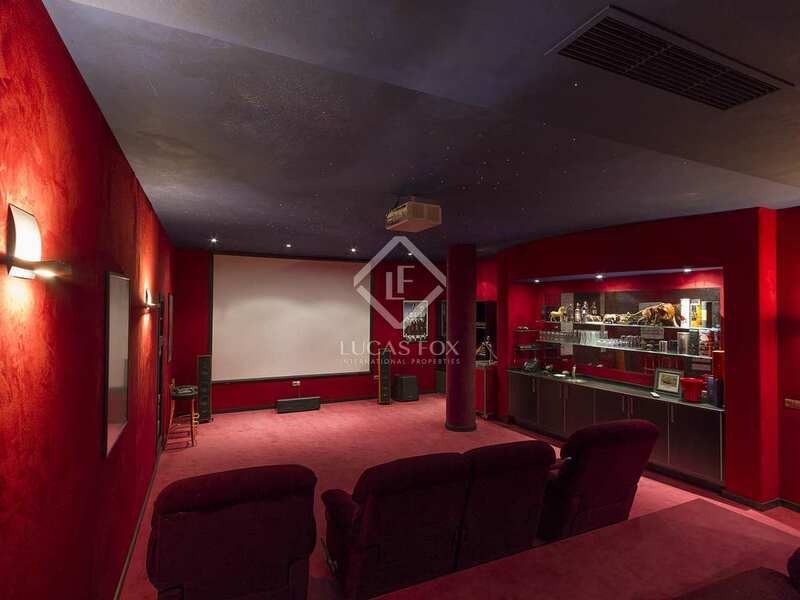 Downstairs in the basement is a wine cellar and a cinema with pool table and kitchenette. 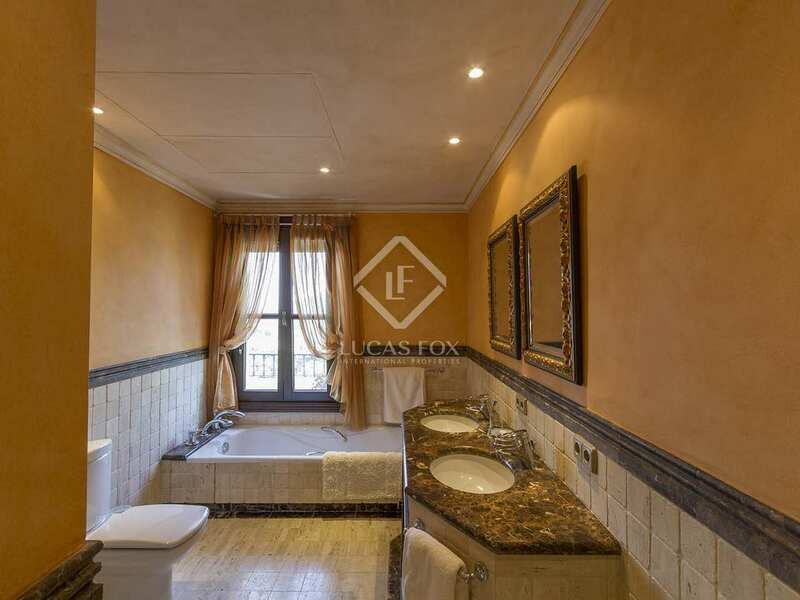 There is a fitness room and sauna, along with shower and toilet. 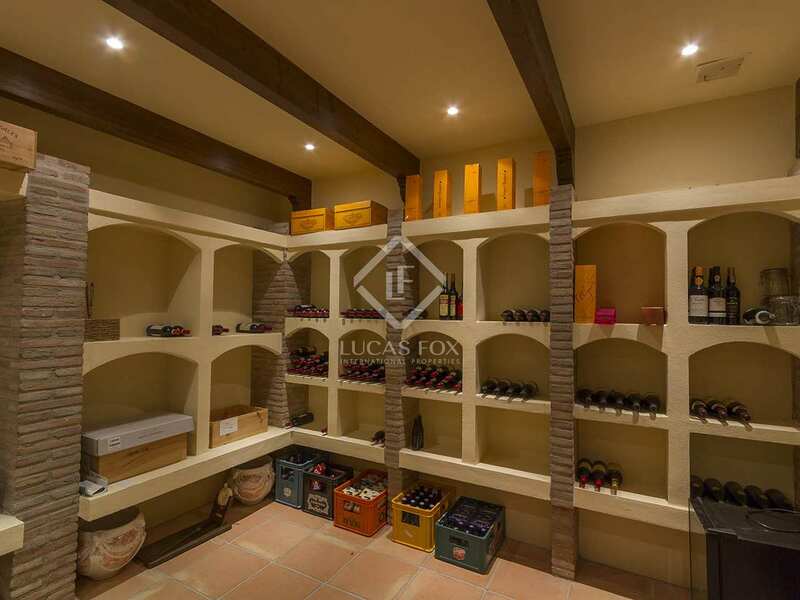 The basement has storage space, and the machinery room and pool machinery room are here. 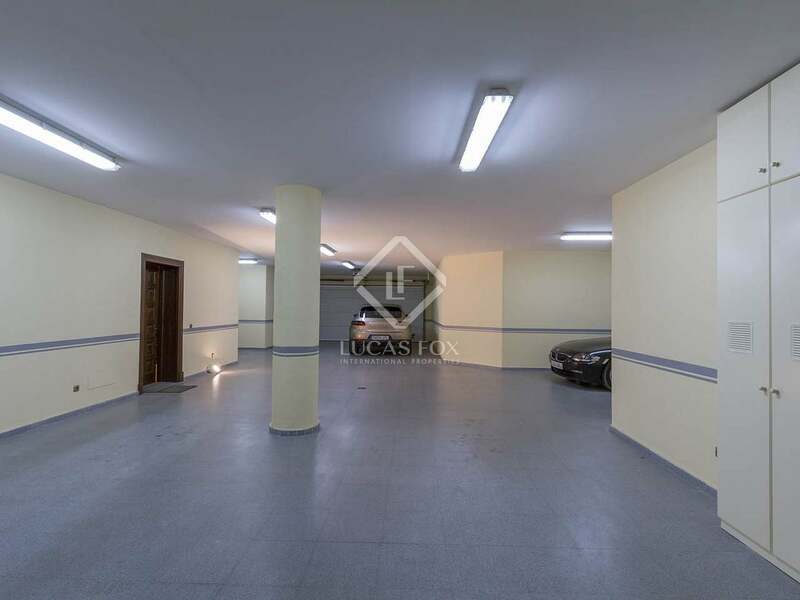 There is a garage for 5-6 cars, plus an uncovered carport for 2 cars outside. 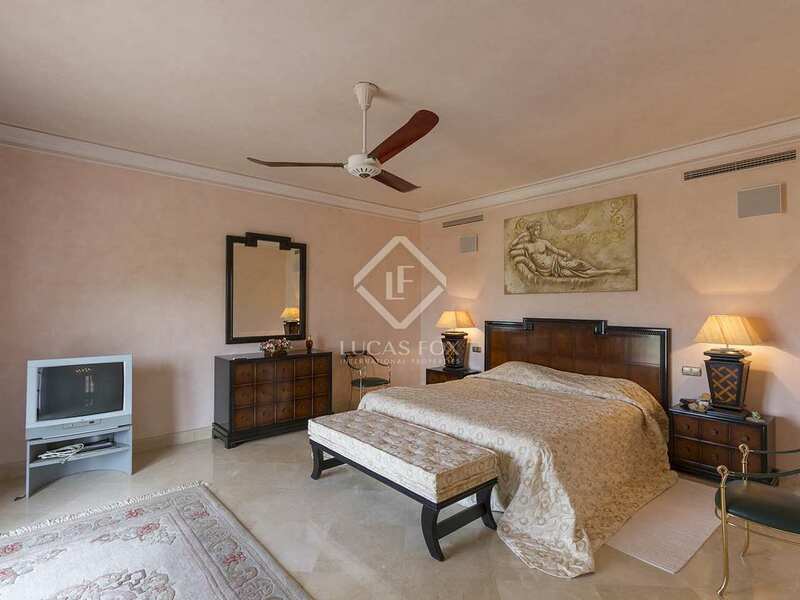 A staff apartment with separate entrance has a living room, kitchen with dining area, 1 bedroom and 1 bathroom. 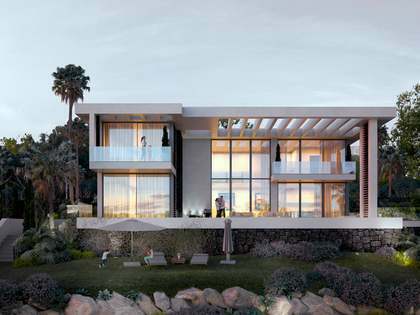 The highest quality of materials has been used to build this house. 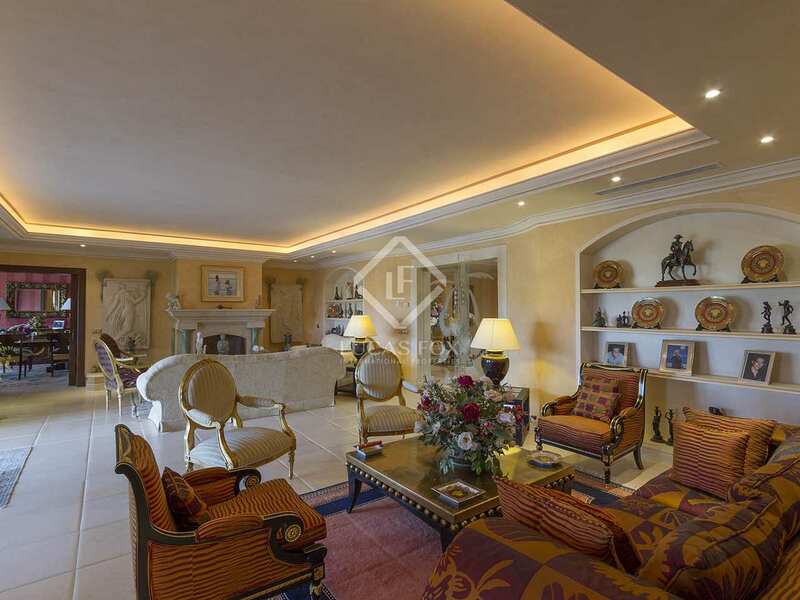 The floors are made of marble, with terracotta floor tiles in the basement. 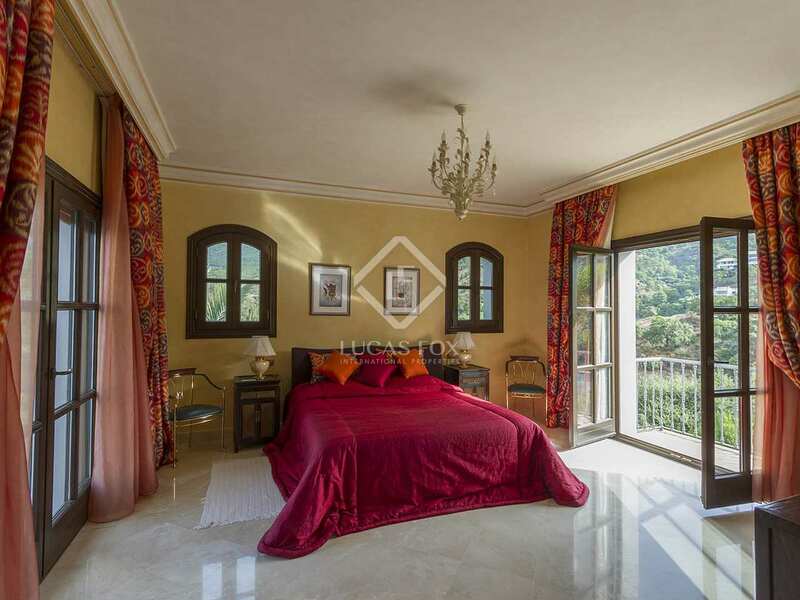 There is underfloor heating, air-conditioning, a sound system and automatic mosquito nets. 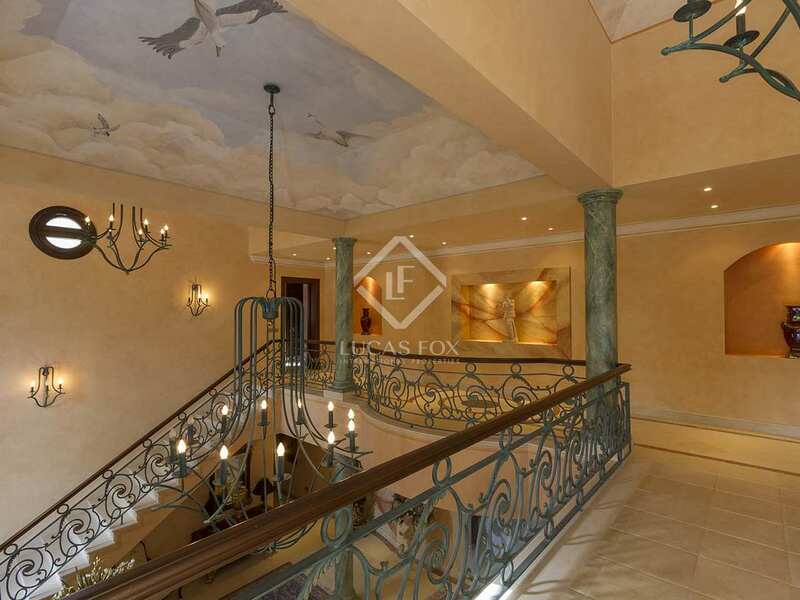 The option exists to install a lift next to the staircase. 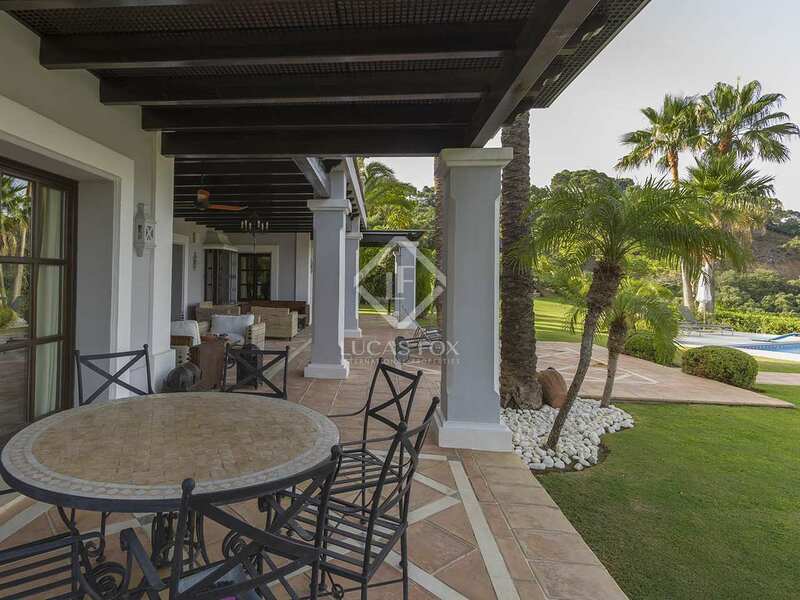 This fabulous villa is perfect for discerning buyers who seek luxury surroundings where they can relax and entertain guests. 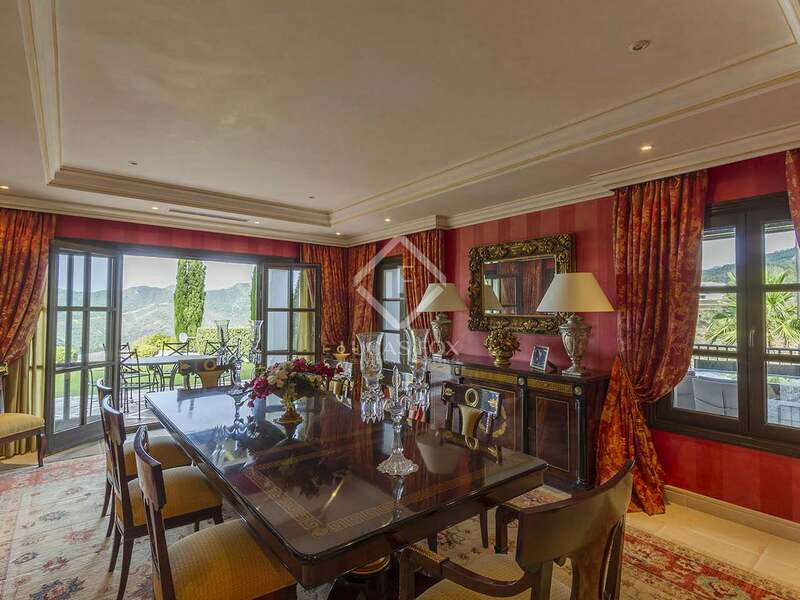 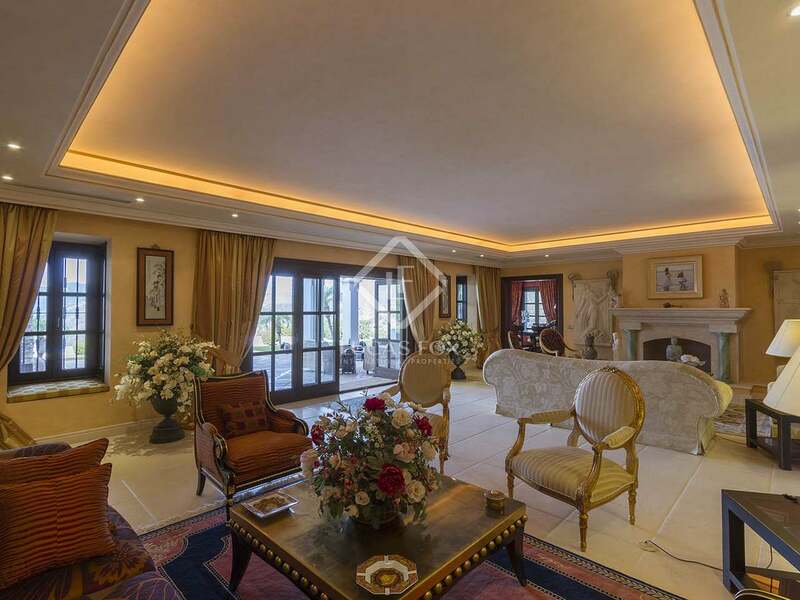 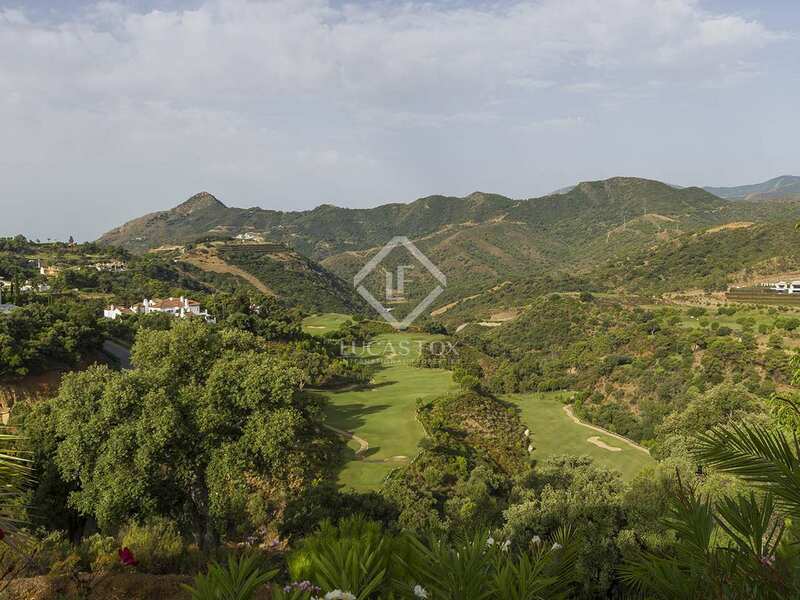 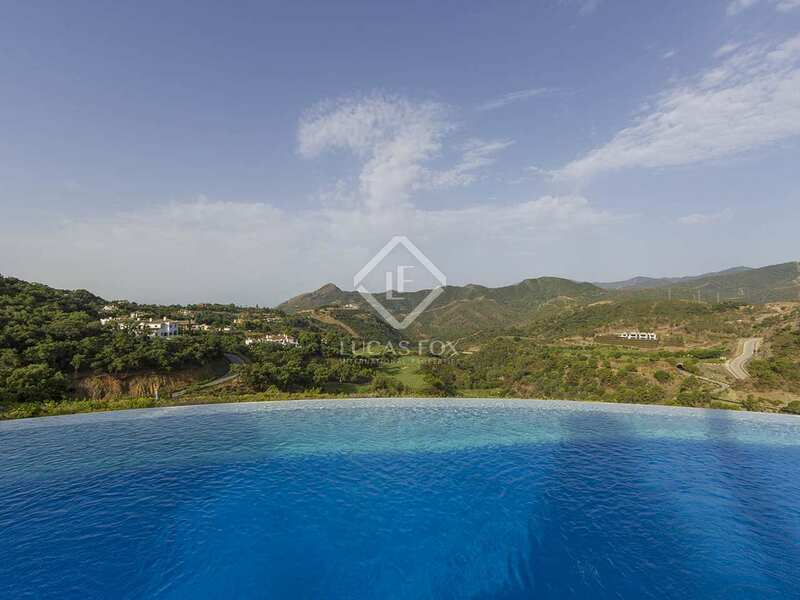 The villa is located in the prestigious country club of La Zagaleta, in Benahavís, Andalusia. 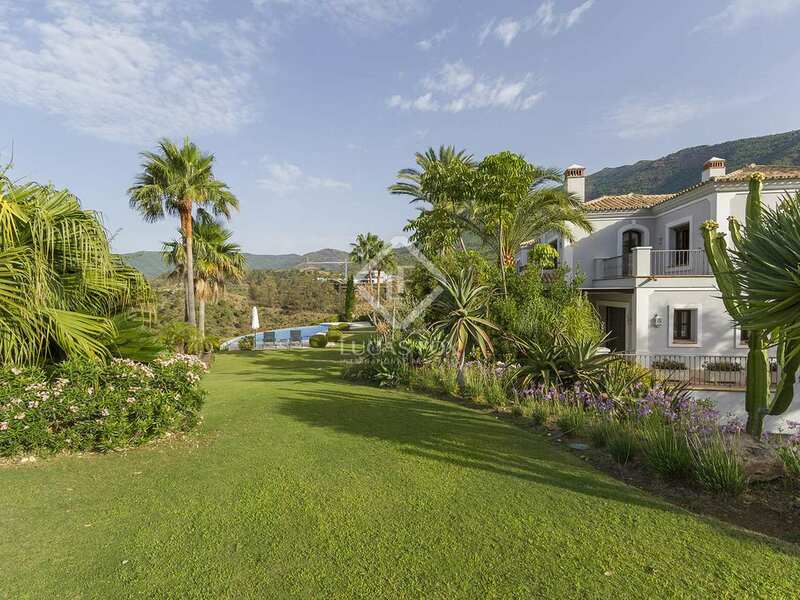 This Costa del Sol location near Marbella offers sun most days of the year. 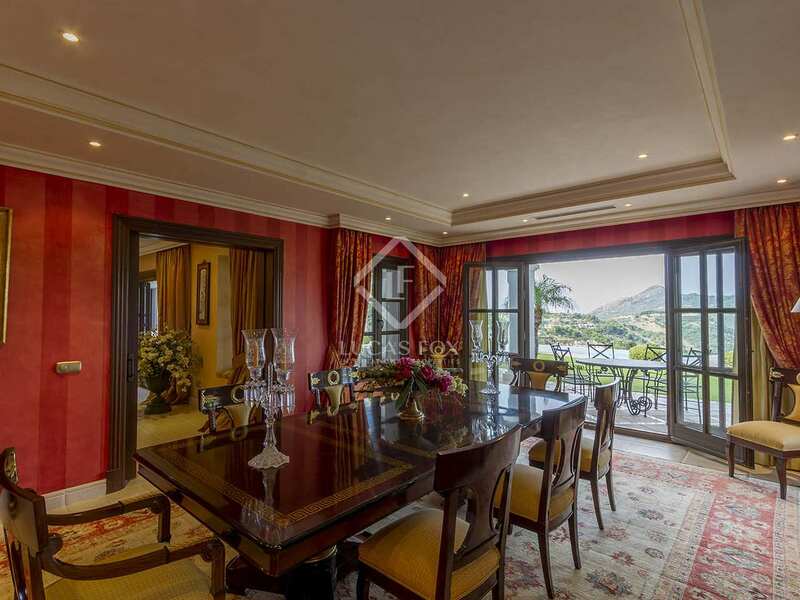 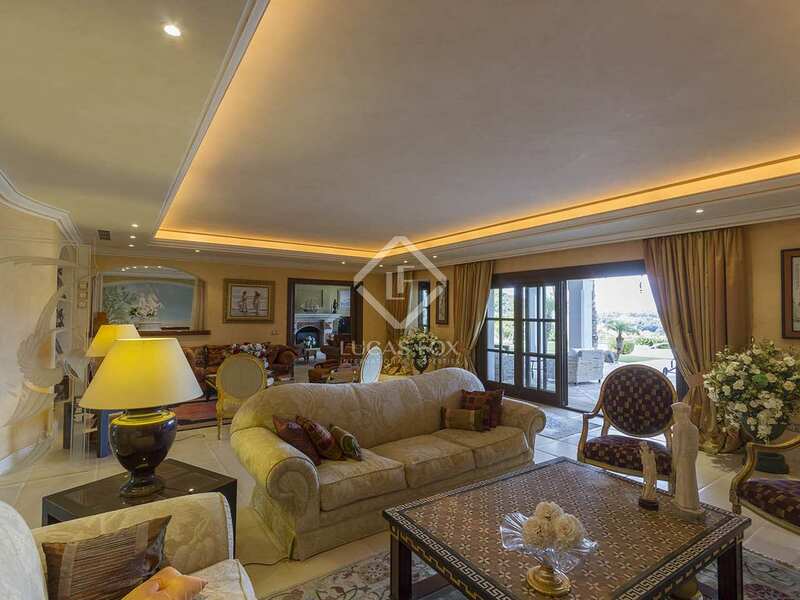 The estate boasts golf courses and an equestrian centre.